If you own a Samsung GT i9505 and would like to root it, then you have certainly come to the right place. In this comprehensive post, we will teach you how to root Samsung GT i9505, both with and without a computer. Produced by Samsung, GT i9505 runs on Android and comes with plenty of added features. Nevertheless, in order to make the most out of your device and customize it, you need to root S4 i9505. 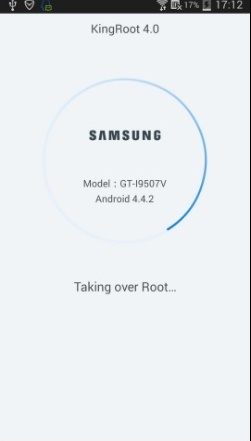 Let’s get started and prepare your phone to perform GT i9505 root before discussing two different approaches for rooting. By now, you must already be aware of all the benefits that you can enjoy after rooting your device. From blocking ads to installing custom ROM, there are so many things you can do with your phone after you root S4 i9505. Though, before you proceed, make sure that you prepare your device for the rooting process after going through the following checklist. 1. It is important to take a backup of all data on Samsung GT i9505 beforehand. If the rooting process is not successful or halted in between, then you might end up losing your phone’s data. To avoid such an unforeseen situation, it is recommended to take a complete backup of your data. 2. Before you root S4 i9505, make sure that your phone is properly charged. It should have at least 60% battery, as the rooting process can be a little time-consuming and even restart your device. 3. To avoid any conflict, make sure that you have downloaded all the necessary drivers for your phone. This can be done by visiting Samsung’s official website. 4. There are times when an antivirus or firewall software can hinder the process of rooting. Therefore, before you commence GT i9505 root, disable any added security measures. 5. 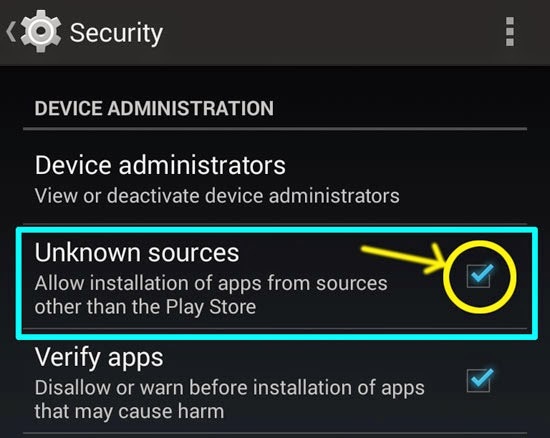 Make sure that you use a reliable and secure application to root your device. It is of utmost importance since you don’t want your phone to turn into a soft brick if something goes wrong. 6. Lastly, in order to root your device with a computer, you need to turn on the USB Debugging feature. This can be done by visiting the “About Phone” section under Settings and tapping the “Build Number” seven consecutive times. After this, your phone will enable “Developer Options”. Now, just visit the Developer Options and turn on the feature of USB Debugging. Part 2: How to root GT i9505 with a Computer? Now when you know about all the basic prerequisites in order to root S4 i9505, you can simply take the needed measures. If you wish to root your device while connecting it to a system, then we recommend using Android Root. It is a part of dr.fone toolkit and provides a secure and reliable way to root more than seven thousand Android devices, including Samsung GT i9505. In order to learn how to root Samsung GT i9505 with your computer, you can simply follow these simple steps. 1. Start by downloading Android Root from the download buttons above. It is currently available for Windows and comes with a free trial version as well. After installing the software, launch it to get the following screen. Click on the option of “Root” in order to commence. 2. Now, just connect your phone to your computer using a USB cable. You could get a pop-up message on your screen regarding the USB Debugging permission. Just agree to in and let the application automatically detect your phone. 3. Android Root will automatically detect your phone and make it ready for the rooting process. You can also know its progress with an on-screen indicator. During this stage, you need to make sure that you don’t disconnect your phone. It might get restarted as well. Just wait for a while and let the application process your device. 4. As soon as your device would be ready, the interface will display the following screen. 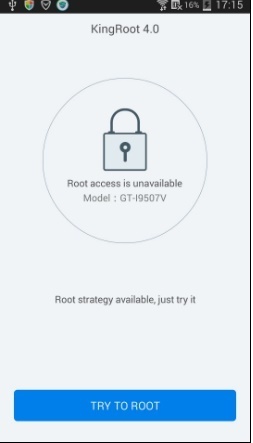 Now, all you got to do is click on the “Root now” button in order to initiate the GT i9505 root process. 5. Wait for a while as the software will perform all the needed steps to root S4 i9505. You could get another pop-up message on your screen regarding the root permission. Just agree to it and keep waiting until you would get the following congratulatory message. Part 3: How to root GT i9505 without a Computer? If you like to perform GT i9505 root without the assistance of your computer, then you can use Kingroot to meet your requirements. The highly popular app is compatible with a wide range of Android devices and provides a way to root your device without connecting it to your computer. Note: The rooting apps usually don't have as good success rate as desktop applications. So it's highly recommended that you can try dr.fone toolkit - Android Root first. Though, before proceeding, you need to make sure that your phone can download apps from sources other than Google Play Store. To do so, visit Settings > Security and enable the option of “Unknown Sources”. Afterward, simply follow these easy steps to learn how to root Samsung GT i9505 without a computer. 1. Start by downloading Kingroot. You can easily get its APK version from its official website. 2. After successfully installing the application on your device, just open it. It will welcome you with the following screen and provide basic information related to your device. 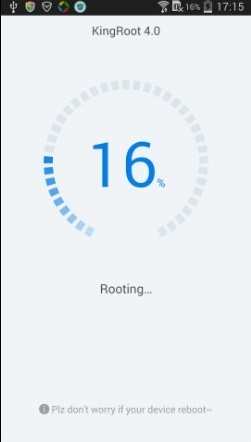 Now, tap on the “Try to Root” button in order to commence the process. 3. Give the application some time to process. It will start identifying your device and make it ready for rooting. 4. After preparing your phone, it will start the process of rooting. You can see its progress from the provided on-screen indicator. Make sure that you don’t turn off your device intentionally. The process might take a while. Just wait for the application to undertake the needed steps. 5. That’s it! After when the entire process is completed, the application will display the following message. 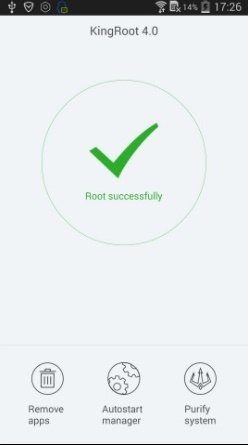 Your device is now successfully rooted using Kingroot. At the end, your device would be rooted after following all the above-mentioned steps. You can now simply restart it and enjoy all the added benefits of rooting. After being familiar with two different ways to root S4 i9505, you can simply pick the preferred option. Go ahead and root your device with the assistance of these amazing applications. Feel free to get back to us if you face any unwanted setbacks in between.